Featuring a sleek new design and advanced optics, the Olloclip iPhone 5/5s: 4-IN-1 Lens seeks to deliver clearer images with minimal lens distortion. Like its previous release, which was only a 3-in-1 lens, the new Olloclip can be clipped over your iPhone’s built-in lens to imbue your smartphone’s camera with 4 physical lenses: a wide-angle lens, a fish-eye lens, and two macros – 10x and 15x magnification. The 10x magnification macro has an 18mm focus distance, while the other macro has a 13mm focus distance. The Olloclip is very easy to use, as you only have to slide it onto the top corner of your smartphone, where the camera is positioned. On one of its side is the fish-eye lens, and beneath is one of the macros, which can be activated by unscrewing the fish-eye lens. 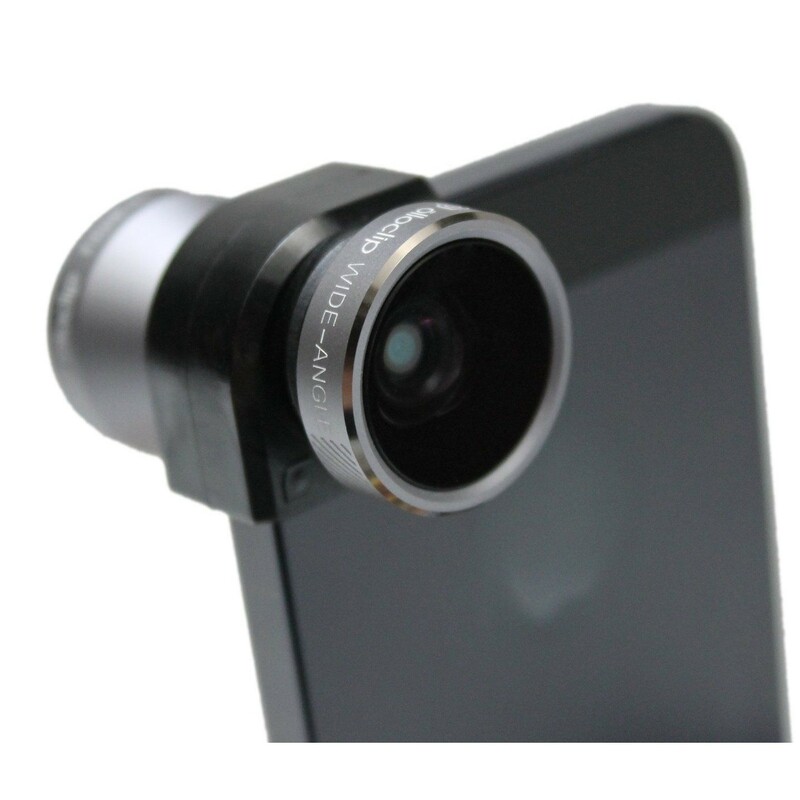 The role of the fish-eye lens is to expand your phone’s perspective with a field of view of 180- degrees. 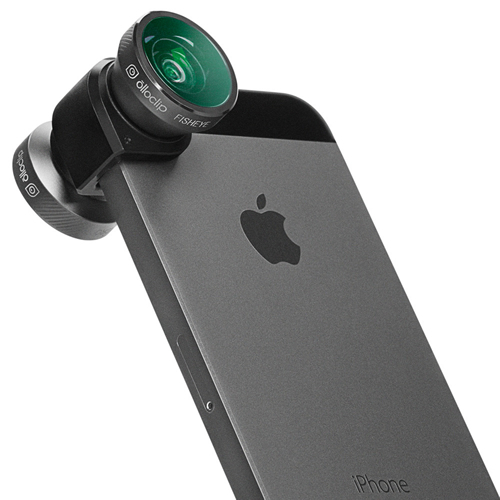 You can double the field of view by flipping the Olloclip to the other side, and selecting the wide-angle lens. Unscrewing the outer lens, when placed on this side, reveals the other macros lens with 10x magnification. 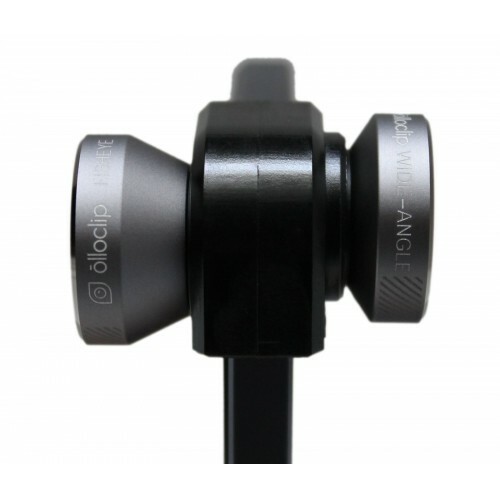 The Olloclip 4-in-1 employs precision-ground glass multi-element optics on its lenses, while the barrels are made from anodised plane-grade aluminium. The iPhone attachment is made from soft plastic material to give it a secure fit as it connects within seconds, so you can use your phone normally when not capturing images. Why should you get this 4-in-1 iPhone attachment? 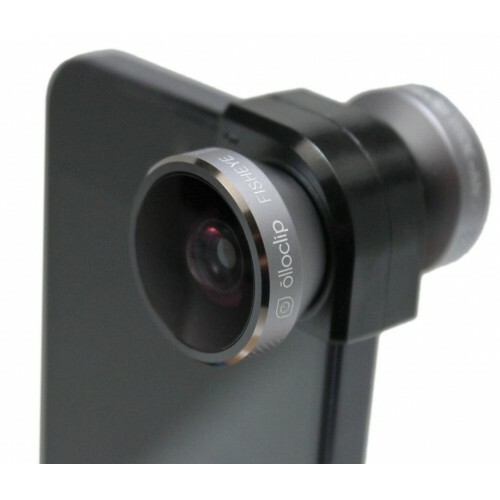 This Olloclip is a quick-connect solution for iPhone users with a convenient package to easily fit in the palm of your hand or pockets. It connects to your iPhone within seconds when you need to capture an image, and if you do not like the image, you can simply flip it over to switch lenses. The quick-flip case lets you rotate the case to reveal the camera and attach the Olloclip without having to remove the case. The rotating corner also serves as the shutter release that presses the iPhone’s volume control to take photos or video.